Any company that has to deliver a product to a customer needs to consider outsourcing the delivery process. Doing so will save a company money, help them to cope with peaks and troughs in demand and provide a faster and cheaper delivery service to their customers. Most of the savings come from not having to rent and run warehouse space. Any product a company sells can be delivered to a fulfilment centre rather than their own warehouse facility. It can be stored there for a very low cost. When an order comes in, from a customer, all a firm has to do is to tell the fulfilment centre what the order is and who to send it to. Immediately, the order is picked, packed and despatched to the customer. 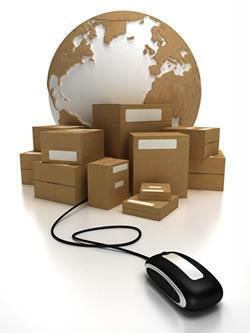 Modern order fulfilment services are suitable for any type or size of firm to use. A sole trader who wants to take their business to the next level can just as easily use an order fulfilment service as a multi-national can. Whether a firms sells a hundred products each month or a hundred thousand using a third party distribution service makes sense. There is no need for a company to recruit their own warehouse staff and deal with having them working at full stretch one day and standing around at other times. Economies of scale mean that third party fulfilment centres negotiate special deals with the Royal Mail and couriers. These savings are passed on to the firms they work for and in turn their customers.